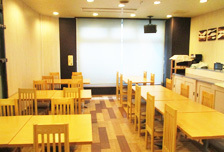 ■Good location that is a 2minute walk from the Niigata station Bandaiguchi side. We prepare the beautiful and conferrable room, all semi double bed with duvet style & two-sort pillow calmly. 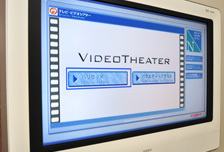 VOD (video on demand) video free charge. Uonuma kosihikari rice is being bought directly from Uonuma Farmer. (We're particular about the quality of the rice. Attention: It'll be extra charge in case of the reservation which is via another site(RAKUTEN,JYARAN,RURUBU and so on). You can use this service (Free Breakfast) from this HP ,or telephone reservation / and cash payment only. All rooms semi double bed, and high quality duvet. Amenity is organic shampoo and rinse (Margaret Joselin) All room you can use free internet LAN and free WiFi. All room you can watch the many titles (over 100channels) video free charge. Popular variety video 100ch titles from the latest Hollywood movie all day, and you can enjoy yourself extraordinarily. We make dream come true -Enjoying shopping and sightseeing have never been so easy. 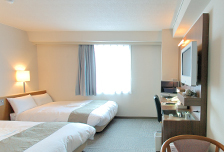 At Happyland hotel you will find our most complete services by Japanese hospitality style, wonderful location and helpful staff. 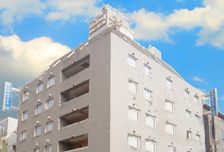 Happyland hotel, We make your dream come true. Thank you for choosing to stay with us at Happy Land Hotel.